'20% of Israelis pay 80% of taxes,' says Finance Minister, promising to remedy situation with cuts to import, income, and business taxes. 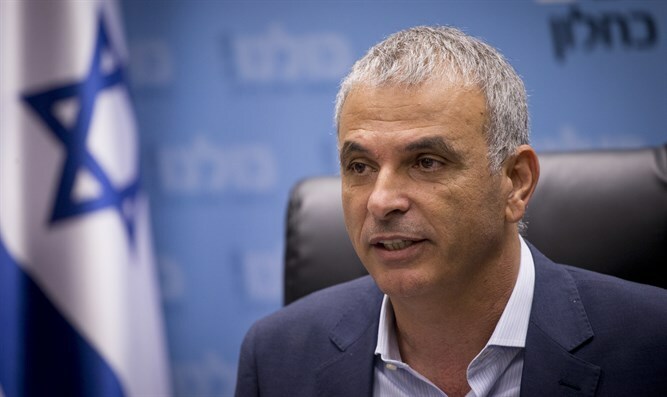 Finance Minister Moshe Kahlon (Kulanu) on Monday morning will speak in Kiryat Malakhi about his plan to reduce taxes. "To all the pessimists, I want to say that we have a strong economy and we don't need to apologize for it. More big companies want to come to Israel than leave it. Israel's business environment is one of the best in the world," Kahlon said. According to Kahlon, "20% of Israeli citizens pay 80% of taxes, and we need to help them." "We have already proven that we can help the weaker sectors of society, the middle class, and build the economy. This government works for the good of the public. I suggest ignoring the background noise you hear in the media." Kahlon is planning to reduce income tax for those earning over 11,000 NIS ($3,130) per month or less, slash import tax on "basic" items, offer companies and small businesses tax breaks, and other things. This plan is expected to be implemented in January 2018, and will be paid for using tax overcharges. However, the plan still needs to be approved by both Israeli Prime Minister Binyamin Netanyahu and the Knesset. Regarding Israel's housing crisis, he said, "We have put an end to the situation in which building contractors control the supply and demand. Israel's land is not cola, it's a public resource. Many are working in order to prevent the government from solving the housing crisis. No matter what, we will continue planning, marketing, and building until the crisis is solved." "The 'Mechir Lemishtaken' subsidized housing project put an end to the building companies' and contractors' ability to run Israel's housing market. No minister will dare stop this program. Israel's land is not cola, it's a public resource."